Consumers Union, the policy and advocacy division of Consumer Reports, respectfully requests that CenturyLink take more aggressive steps to end unwanted robocalls. We request that you offer your customers free tools that effectively block robocalls. More than 246,000 consumers have joined us in calling for an end to unwanted telemarketing robocalls. These consumers have made clear that their quality of life has been directly, negatively affected by these calls and many have been the victims of fraud as a result of the calls. Many of our supporters have even fallen victim to scams as a result of telemarketing robocalls, and phone scams cost Americans an estimated $350 million in 2011. Consumers registered more than three million complaints with the Federal Trade Commission (FTC) last year about Do Not Call violations. It is time for CenturyLink to provide free, effective solutions to this problem immediately, so that unwanted robocalls are stopped before they reach us. 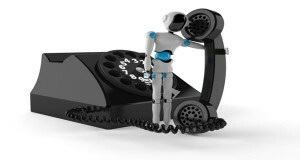 In 2012, the FTC hosted a “Robocall Challenge” offering a prize for the best technological solution to address the problem. The FTC fielded almost 800 potential solutions. Consumers have a reasonable expectation that their telephone provider — with the resources and technology it has available — can also come up with effective solutions to solve this rampant problem. Consumers Union, on behalf of the annoyed, beleaguered, and defrauded consumers we have heard from, would be happy to sit down and discuss your solutions to end robocalls at your earliest convenience. Please take the lead on this important consumer issue and offer all your customers free tools to stop unwanted and illegal robocalls.